An entertaining, page-turning sequel to Illuminae. Following new main characters, the probing against BeiTech Industries continues with Gemina. The story revolves around the assault of jump station Heimdall. 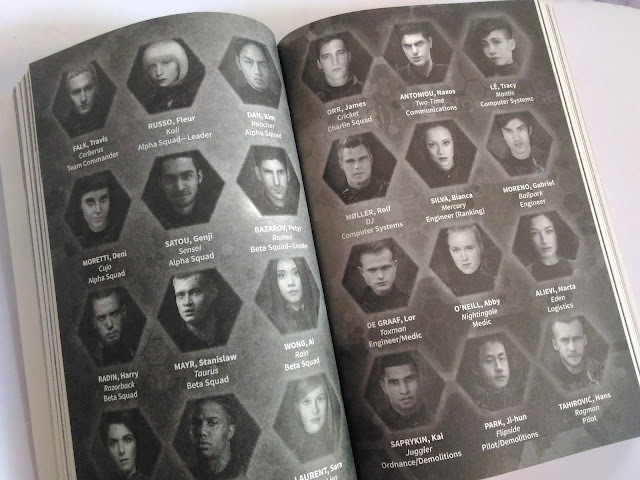 Just like Illuminae it is told using compiled documents of the Heimdall siege- starting from the court hearing of Dr. Frobisher, the Executive Director of BeiTech Industries, leading to the introduction of the characters and the action-packed events of struggle and survival. The introduction is rightly-paced and has an intriguing air to it. The story then builds-up to the siege- testing the strengths and weaknesses not only of the main characters, but also of the secondary ones. There are a lot of interesting plot elements that may seem too much in one book, but I liked it. Some plot elements I had a hard time grasping because I don't find them realistic. But I don't think they affected my reading experience that much. 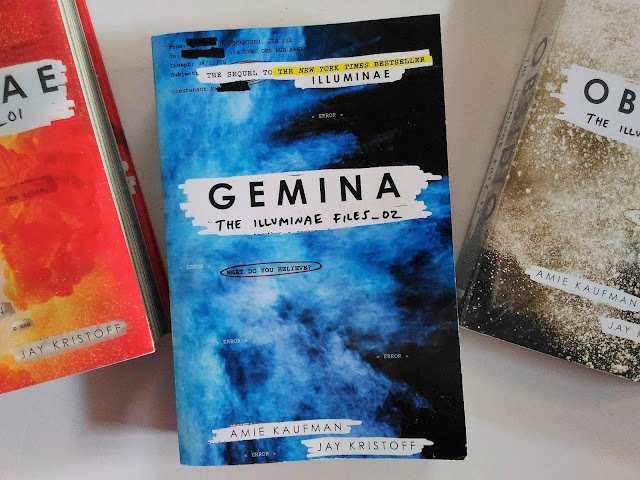 Plot-wise, Gemina is very entertaining, and action-packed. I never had a dragging reading experience. And I found myself wanting to get to the end to know how things will turn out. The two main characters are the usual YA heroine and hero. Two characters of different social status are forced together to 'save' the day. Yes, it's very cliché but it's not much of a big deal for me. I am not sure of the romance element though. I think it was quite forced and hurried, but if there will be longer time to develop the romance I don't think I'll have objections to it. The secondary characters are interesting as well, especially Ella. I also find the villains intriguing. I actually enjoyed reading about them. Overall, I think the characters are well-written despite some banality. They are all interesting to read and thankfully, no annoying characters. Like what I have mentioned in Illuminae, I liked how the story is told. It added more to my reading experience. I had a hard time following some technical terms though, but I did manage. I don't think it had a big impact on my reading. And lastly, one of the things I enjoyed is the 'villain' tracker. See below picture. If you want a refreshing, thrilling and entertaining sci-fi read, you might want to read the Illuminae Files! Aaah! I can't wait to read Obsidio next!